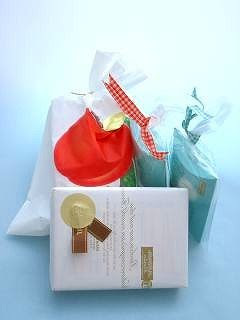 Previously, I presented Valentine’s Day in Japan, when women send gifts and sweets to men. This time I will describe White Day held on March 14th. The event was originated by candy makers in 1980’s as a way for men to return to the favor to the women. Why it is white? Candy is made with sugar which is white. White Day is also funny story. If a man gets some sweets or gifts from a woman on Valentine’s Day, he has to give back some sweets with gifts on White Day. Giri-chocolate was not meant to be a gift of obligation. Between students, boys just give back sweets to the girls. It is simple. But, in the business world, it is little bit complicated. Some office ladies send many Giri-chocolates to their coworkers and their bosses, because they expect good gifts back from them. It is the rule, that if a man gets something from a woman, he has to give back gifts worth three times as much to her. It is not only on Valentine’s Day, but also at Christmas time. It is a kind of investment. She spends $100.00 for Valentine’s Day and then expects $300.00 gift value on White Day. Gift giving in Japan is not always a happy time. Boys and guys must think ahead about the next step.